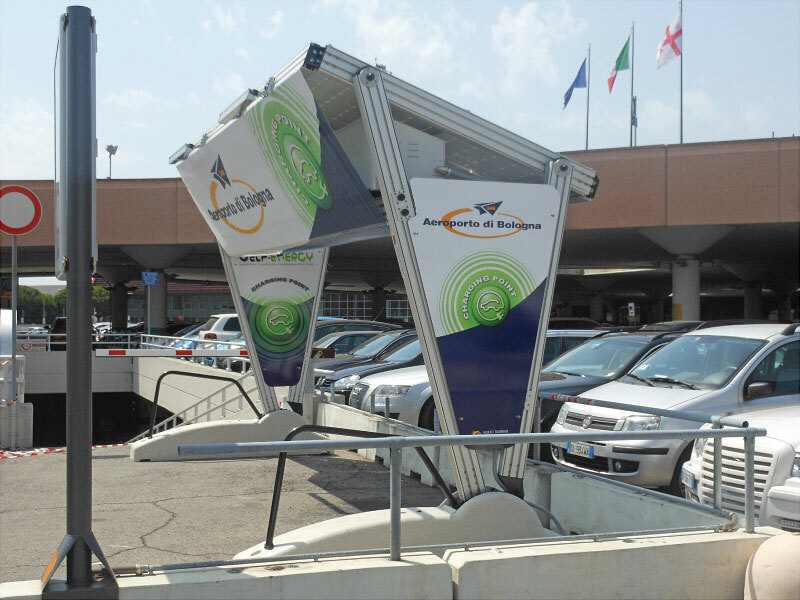 Our photovoltaic ev charging station has been recently installed in the main parking place at Bologna airport G. MARCONI. 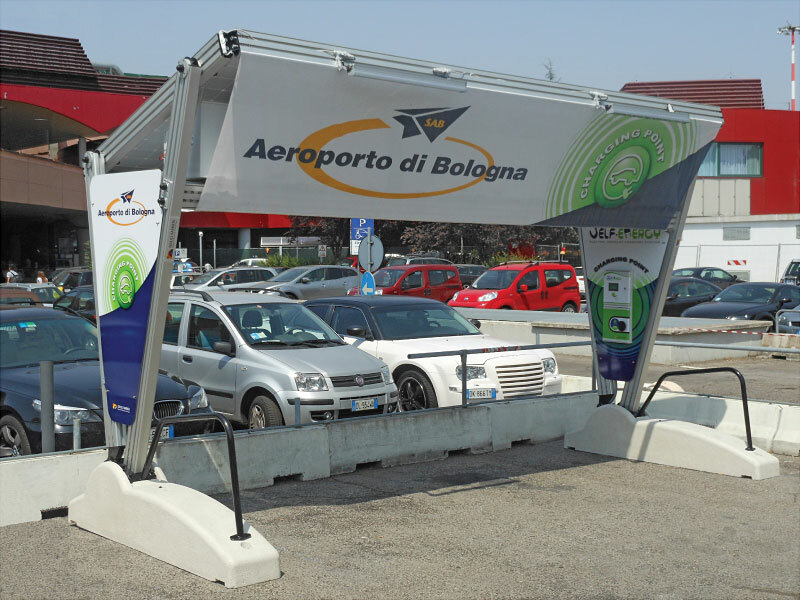 It's a service freely offered to passengers and visitors who might require a charging station for their electric vehicles, taking the chance of the waiting time due to the forthcoming trip. It's equipped with storage batteries in the upper part of the structure and can offer up to two charging points. 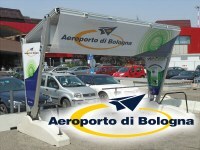 "The charging station has been designed to guarantee energy supply 24 hours a day, even in the worst case when higher energy than available is consumed; for this reason the installation is provided with connection to the electric main grid" - affirms Giulio Barbieri - "Self Energy is matching the highest European quality standards: recently our Solar Carports have been awarded with CE marking. The European market has been the first one to recognize our efforts and engagement. We are proud to mention among our latest references the following installations: for public administrations in Paris, in Osnabrück (Germany) and Helsinborgh (in Sweden). Last but not least the charging station for electric bikes for the European Commission. We also worked for Bayer in Frankfurt and Mitsubishi. 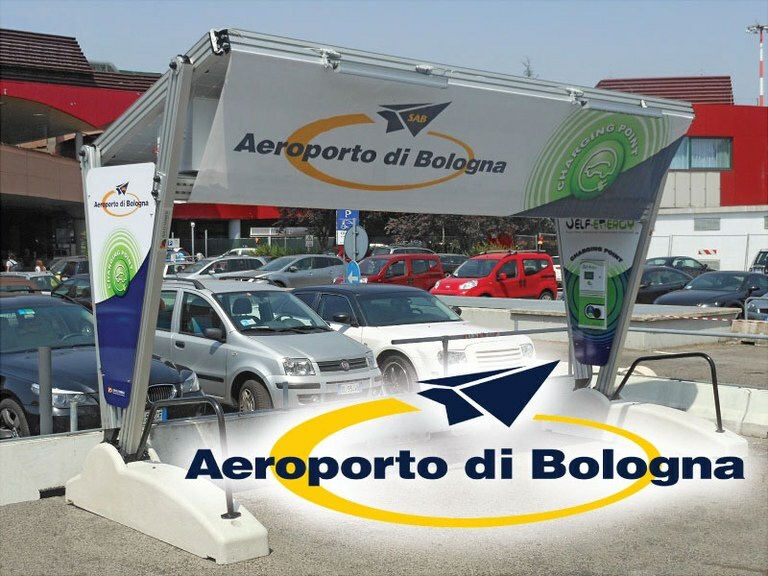 "Self Energy" charging station is equipped with PVC membranes to be customized with advertising or information graphics: one more chance to promote any business activity or advertising message in strategic positions.